Robot Framework is a generic test automation framework for acceptance testing and acceptance test-driven development (ATDD). It has easy-to-use tabular test data syntax and it utilizes the keyword-driven testing approach. Its testing capabilities can be extended by test libraries implemented either with Python or Java, and users can create new higher-level keywords from existing ones using the same syntax that is used for creating test cases. 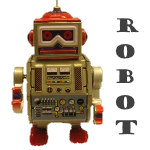 Robot Framework project is hosted on GitHub where you can find further documentation, source code, and issue tracker. Downloads are hosted at PyPI. The framework has a rich ecosystem around it consisting of various generic test libraries and tools that are developed as separate projects. The Selenide is a tool for writing concise, expressive and stable UI tests in Java. Selenide resolves all the typical problems with testing of modern web applications like Ajax and timeouts in a simple and elegant way. Selenide is extremely simple to start with: you don't need to read hundreds-pages-long tutorials. Just open IDE and start writing. The learning curve is close to zero. With Selenide you don't waste time on googling "how to make Selenium do that" - you can concentrate on business logic. Selenide is a framework for writing easy-to-read and easy-to-maintain automated tests in Java. It defines concise fluent API, natural language assertions and does some magic for ajax-bases applications to let you focus entirely on the business logic of your tests. The next generation technology incorporated into TestDrive brings practical business benefits that offer you options. For example, you might choose to conduct more comprehensive testing in the same time frame to reduce risk, or carry out the same amount of testing but finish quicker, or to use fewer costly resources, or any combination of these. The choice is yours. eggPlant Functional is a functional testing tool that helps you test faster and easier by automating the execution of your functional tests. eggPlant Functional has revolutionized functional test automation with its patented image-based approach to GUI testing. Ranorex is a Windows GUI test automation framework which provides seamless testing of a wide range of desktop, web and mobile applications. As every robust test automation project requires reliable user interface object recognition, Ranorex focuses on providing the best possible recognition for all types of desktop, web and mobile software applications. Ranorex's award winning object recognition relies on smart RanoreXPath technology - RanoreXPath reduces effort in maintaining tests and at the same time simplifies the testing of dynamically built user interfaces. Taurus is an open source test automation tool that extends and abstracts JMeter, and helps to overcome these challenges. Taurus provides a simple way to create, run and analyze performance tests, which is basically an abstraction layer over JMeter (or Grinder or Gatling or Selenium). Taurus is an acronym that stands for Test Automation Running Smoothly, which reflects its baseline mission - making the process of test configuration and execution as simple as possible. StresStimulus is a feature complete tool for load and stress testing of websites, web services, mobile and web applications. Its focus is on ease-of-testing of web applications of any complexity. All major web platforms are supported. Main Highlights: Test wizard; distributed testing, server monitoring, available integration with Fiddler, a web debugging tool (free), no scripting required and a free trial includes complete test configuration. 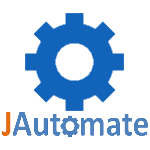 JAutomate is a Visual GUI Testing tool that is completely technology independent. It can automate any type of application that has a graphical user interface on any platform. JAutomate may actually visually see where to click and what to verify on screen, just like a human tester. This makes it possible to record and playback any application that has a user interface on any operating system. The JAutomate editor has recording and playback capabilities that makes it really easy to create test scripts without programming skills. This tool is no longer maintained. 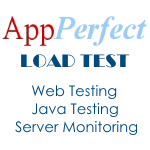 AppLoader, a user friendly high performance, yet highly affordable load testing tool to ensure the readiness of all your applications. AppLoader allows prevention of application performance problems by providing end-to-end flexible variations of tests: smoke testing, regression testing, performance testing, stress testing, functional testing, security testing, and more. AppLoader is a complete Quality Assurance solutions package designed for every vertical industry and every application accessible from a windows front end. This means no plugins or wrappers and no additional cost to you. HP LoadRunner is an automated performance and test automation product for application load testing: examining system behaviour and performance, while generating actual load. A software testing tool, HP LoadRunner works by creating virtual users who take the place of real users' operating client software, such as Internet Explorer, sending requests using the HTTP protocol to IIS or Apache web servers. HP LoadRunner can simulate thousands of concurrent users to put the application through the rigors of real-life user loads, while collecting information from key infrastructure components (Web servers, database servers etc.) The results can then be analyzed in detail to explore the reasons for particular behavior. Automatically generate and execute JUnit unit tests for Java code. AppPerfect Java Unit Test is a complete unit testing system. It automates the generation and execution of unit tests. Unit testing forms the basis of software testing at the developer level. It is sometimes referred to as "developer testing". AppPerfect Java Unit Tester is ideal for implementing Agile development and testing methodology in your organization. AppPerfect Java Unit Test uses the JUnit testing framework for generation and execution of test cases for Java source files. It uses the HtmlUnit framework for generation and execution of test cases for JSP files. AppPerfect Java Unit Test builds on concepts of mock objects and provides a complete framework to define and manage reusable simulated objects defined in your applications. 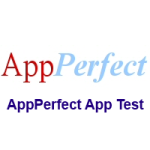 AppPerfect App Test - Functional Tester for Windows/GUI/.Net/Java applications. AppPerfect App Test has been designed to assist users meet such testing challenges. AppPerfect App Test is a fully Automated Functional testing and Regression testing software which is easy to use and cost effective replacement to manual testing. AppPerfect App Test provides support for "recording" a test once and then "replaying" it when desired without additional manual intervention. AppPerfect App Test performs functional and regression testing of your Windows / Mac OS X / iOS (iPhone/iPad) /.NET/ Java /GUI applications. It is designed for developers as well as QA professionals. Functional testing provides a rich set of features in an easy-to-use manner that makes both groups productive immediately. Java Code Test is a automated Java and JSP code analysis, audit and review tool. AppPerfect Java Code Test is a static Java code analysis software designed to perform the following two key tasks: Automate Java code review and Enforce Good Java Coding Practices. 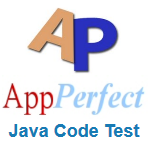 AppPerfect Code Test analysis your Java and Java Server Pages (JSP) source code and applies over 750 Java coding rules to apply the collective knowledge of leading experts in the Java programming field to your code. Test Studio is an innovative and easy-to-use automated web, WPF and load testing solution. 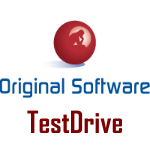 Test Studio tests support essential technologies like ASP.NET AJAX, Silverlight, PHP and MVC. Test Studio functional testing is a comprehensive yet cost-effective automated testing suite. Users can complete tasks quickly and easily with the product’s point-and-click interface, which is augmented by Telerik-exclusive features like a visual storyboard and 3D element selection. Test Studio also offers script-less test automation for Silverlight applications. "no coding" load testing software with automatic "how many users" analysis. Load Tester™ has hundreds of features born from the hands-on experience of testing actual websites, but it all starts by automatically detecting and configuring the test cases for most situations. The automated record and configuration process means no complicated hand-coding, and no scripting languages to learn. And no reverse-engineering and hand-programming code for complicated dynamic and state variables. All of which leaves you with more time to write new code. Configuring user input such as login credentials, search terms, and other user-entered fields is as easy as clicking on the field; no coding required. QF-Test reduces compley GUIs to a few generic components which can be controlled dynamically – without any programming effort. This treatment of components in a uniform way, independent of utilized technology, means plenty of time saved for the software tester and tremendously reduces the effort involved in implementing and maintaining tests. Users of other test tools are confronted with increasingly complex toolkits these days: for example, in order to implement a tree some tools employ many different objects nested on several levels. Maveryx is an innovative test automation tool for functional testing, regression testing, GUI testing and data-driven testing of all Java and Android applications.Maveryx does not require any GUI Map or UI recording to create and run the tests. During runtime, Maveryx takes snapshots of the current application user interface and automatically identifies the UI elements to test. Maveryx includes fuzzy matching algorithms to unambiguously recognize and locate UI objects, even if the objects have changed since test creation. This enables testers to automate tests resilient to frequent application user interface changes. The tool has open interfaces and a plugin architecture to add new features and support custom controls. FlexUnit is a unit testing framework for Flex and ActionScript 3.0 applications and libraries. It mimics the functionality of JUnit, a Java unit testing framework, and comes with a graphical test runner. FlexUnit 4 was created to modernize testing with ActionScript 3.0 and Flex, bringing parity with the tools and techniques available to the Java community. It provides full support for unit testing in the tradition of FlexUnit .9 , but goes further with rich asynchronous support, meta-data defined testing, support for integration-level testing and an extensibility layer for new types and methods of testing. Squish is the leading cross-platform/cross-technology GUI test automation tool for functional GUI regression tests.GUI regression tests. FindBugs is a defect detection tool for Java that uses static analysis to look for more than 200 bug patterns, such as null pointer dereferences, infinite recursive loops, bad uses of the Java libraries and deadlocks. FindBugs can identify hundreds of serious defects in large applications (typically about 1 defect per 1000-2000 lines of non-commenting source statements). FindBugs is open source, and has been downloaded more than 230,000 times, and is used by many major companies and financial institutions. Findbugs can be used from the command line or within ant, eclipse, maven, netbeans and emacs. T3 (earlier T2) is a powerful automated unit testing tool to test Java classes. AgitarOne JUnit Generator is a comprehensive server-based solution for creating, using, and managing unit-level tests for Java code. AgitarOne JUnit Generator creates tests that document the behavior of your code as it exists today. Powered by Agitar's innovative software agitation technology, the analysis that AgitarOne JUnit Generator performs on your code routinely achieves JUnit coverage of 80% or better. With a sufficient server configuration it can generate 250,000 lines or more of JUnit per hour. FlowLevel is an automation application that provides a flexible infrastructure for designing, deploying, displaying results and analyzing all types of processes. FlowLevel is also an advanced automated testing tool that enables performing an assortment of tests including functionality and performance tests on both static and dynamic recourses. With FlowLevel, defining the flow, rules, and elements of work is performed dynamically and the process follows them automatically. Once the flows and rules are captured, they can be changed, either to optimize the process or adapt to new conditions. The Cactus Framework: It is the engine that provides the API to write Cactus tests. The Cactus Integration Modules: They are front ends and frameworks that provide easy ways of using the Cactus Framework (Ant scripts, Eclipse plugin, Maven plugin, ...). The Cactus Samples: They are simple projects that demonstrate how to write Cactus tests and how to use some of the Integration Modules. "GUI-Less browser for Java programs"
Parasoft® Jtest® is an integrated Development Testing solution for automating a broad range of practices proven to improve development team productivity and software quality. Jtest also seamlessly integrates with Parasoft SOAtest, which enables end-to-end functional and load testing for complex distributed applications and transactions. 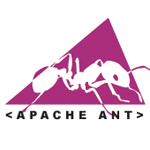 Apache Ant is a Java library and command-line tool whose mission is to drive processes described in build files as targets and extension points dependent upon each other. The main known usage of Ant is the build of Java applications. Ant supplies a number of built-in tasks allowing to compile, assemble, test and run Java applications. Ant can also be used effectively to build non Java applications, for instance C or C++ applications. More generally, Ant can be used to pilot any type of process which can be described in terms of targets and tasks. Ant is written in Java. Users of Ant can develop their own "antlibs" containing Ant tasks and types, and are offered a large number of ready-made commercial or open-source "antlibs". 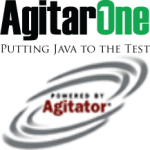 AgitarOne Agitator provides a unique interactive understanding of code behavior as a developer writes or modifies Java classes or methods. Agitation helps developers validate the expected behavior of their code and discover unexpected behaviors. Agitator automatically creates dynamic test cases, synthesizes sets of input data, and analyzes the results. When objects depend on other objects, Agitator automatically constructs those objects, enabling full analysis of the possible behaviors of the code, even if it depends on third-party libraries. Java/Swing GUI testing made simple! UISpec4J is an Open Source functional and/or unit testing library for Swing-based Java applications, built on top of JUnit and TestNG. UISpec4J's APIs are designed to hide as much as possible the complexity of Swing, resulting in easy to write and easy to read test scripts. This is especially true when comparing UISpec4J tests with those produced using Swing or low-level, event-based testing libraries. XHTMLUnit helps to generate some XHTML within the Java classes and does not use other web presentation technology like JSPs or XSLT. XHTML is HTML with a few changes and added features - All tags are in lower case & all tags have to be balanced, i.e. every opening tag must have a corresponding closing tag or use the short form for a tag without. The advantage of using XHTML as opposed to HTML is basically that it can be easily validated using the appropriate DTD. XHTMLUnit builds on XMLUnit and provides convenience code and configuration to facilitate testing the generation of XHTML, both of complete pages and of individual parts of a page.